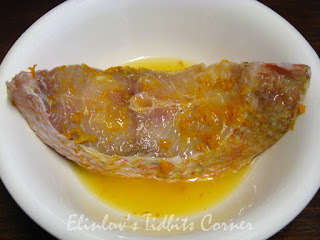 He marinated the red snapper fillet with orange juice, zest and a pinch of salt and sugar. He let the orange juice infused into the fish meat before he pan fried it.﻿ Mmmmm, I was watching silently and thinking to myself...what the....I guess he knows what he is doing. While the marinating process is on, he cut some ginger stripes and make crispy ginger shreds for the topping. He fried the ginger shreds till crispy and golden brown. He dish them up and leave to cool. With the same pan and excess oil from frying ginger, he put in the marinated fish and pan fried till the fish is cooked and the fish skin is crispy. Then I saw him pouring the excess orange marinade into the pan and added extra sugar to the gravy and cook till the gravy thickens. He poured the thicken juice over the fried fish. Garnish the top with crispy ginger shreds. 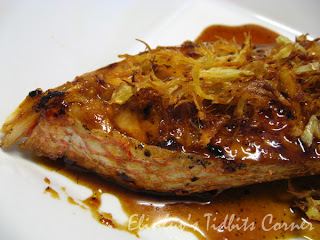 It does smell good and I was really surprised that the crispy ginger goes well with the orange glaze. Yummy and I am truly glad that WB can concoct such a delightful exotic dish for us :) He was the chef for this dish and I was the photographer :) Actually team work is important in a marriage . Marinate the fish with the marinade sauce for an hour. Pan fried the ginger shreds till crispy and golden brown. Dish up and put aside. 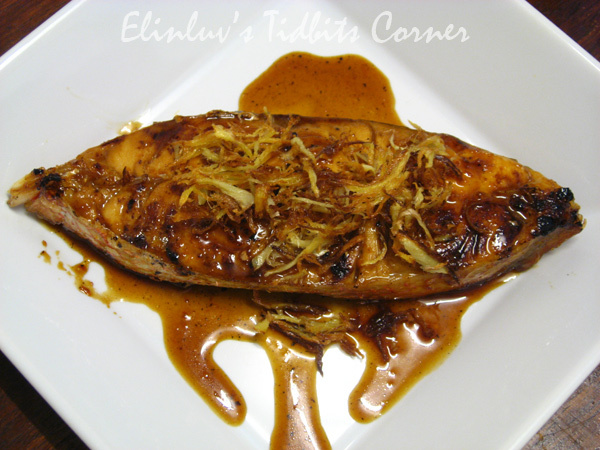 Pan fried the marinated fish till the skin edges are crispy and fish is cooked. Dish up . 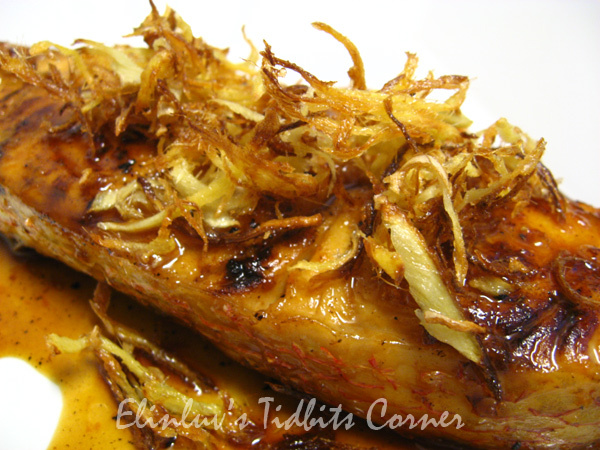 Pour the excess orange marinade into the pan and add the extra 1 tsp of sugar into the mixture. Cook the orange sauce till it thickens. 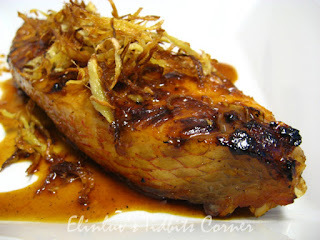 Pour the orange glaze over the pan fried fish and add the crispy ginger as topping. Serve with piping hot rice. Are You A DIY Person?